Maiers Hotel Oststeirischer Hof Sochau, Hotel Austria. Limited Time Offer! Maiers Hotel Oststeirischer Hof. 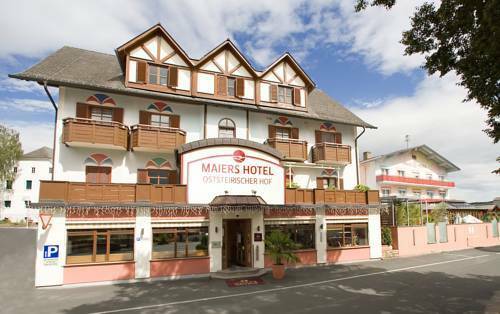 "Maiers Hotel Oststeirischer Hof" has received 4 stars. It is ideal for visiting Söchau. There is a spa, marvelous for your well-being. To bring you more chances to relax, there is a sauna. You can treat yourself to, for example, a relaxing massage treatment. After dinner, guests can enjoy a drink at the bar. Breakfast is served each morning to provide guests with a good start to the day. Staying connected with friends and family is made possible by the free of charge Internet access that is provided.